At one point, Range was an independent water heater manufacturer in the UK focused on producing units for the domestic market, as well as ensuring affordability for their products. Today, Range has been incorporated into the ever-expanding Kingspan Hot Water Systems family. The company continues to manufacture domestic unvented, vented and renewable energy cylinders, although the most common is the Range Tribune. 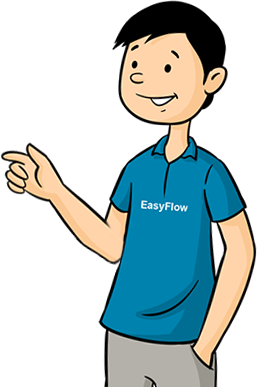 At EasyFlow, we have extensive history and experience installing, servicing, repairing and maintaining Range hot water heaters for customers in Manchester, Leeds, London, Liverpool and Chester. The Range Tribune HE cylinder is made from high-quality duplex stainless steel for durability and strength. Range provides a 25-year guarantee on the cylinder, so long as you have the system serviced professionally each year. The line actually comprises over 50 different models, including direct and indirect systems, slimline options and more. While Range does manufacture vented and renewable energy system, EasyFlow focuses primarily on their unvented systems. Despite the fact that Range used high-quality stainless steel for the cylinder, and does offer a 25-year guarantee, there are some problems that you might experience. We have provided information on the most common faults with the Range Tribune water heater below to help ensure that you’re able to find the cause of the problem and have it repaired as soon as possible. Cold Water from the Tap: If you’re experiencing cold water when you open the hot tap, chances are good that the cut-out has activated. It can be manually reset, but you’ll need to diagnose the cause of the overheating/over pressurisation. It may also be due to a fault in the motorised valve, or a failed immersion heater. Water Leak from the Case: if a compression fitting has a fault, you may experience a leak from the case. Immediately isolate the unit from the electric supply and contact EasyFlow for assistance. No Water Flow: If you open the tap and find no water, the most likely culprit is a blocked filter. The filter should be cleaned during annual maintenance, and EasyFlow can provide you with a professional maintenance plan. However, it may also be due to an incorrectly fit inlet control set or even an issue with the mains. Discharge from Expansion Relief Valve: The expansion relief valve may discharge water if the pressure reducing valve has experienced a fault. It may also be due to the valve seat sustaining damage, or if the unit is being back pressurised due to an unbalanced cold water supply. Another potential problem is an unpressurised expansion vessel. The expansion vessel should be pressurised as part of your annual maintenance (up to 3 bar). The vessel’s bladder may also be damaged, and the entire vessel will need to be replaced if this is the case. At EasyFlow, we have years of experience in servicing, repairing and maintaining Range Tribune HE hot water heaters. We are a Country and Town Limited Service, and provide solutions for customers throughout Manchester, Liverpool and the surrounding area. Find out more about EasyFlow Maintenance Plan. Our maintenance plans are designed to ensure our customers enjoy peace of mind, and constant hot water. We keep your hot water flowing while minimising your costs and eliminating stress. Let our experts identify and correct water heater faults, while you enjoy low monthly payments.